Steve Carroll has been involved with real estate in Chatham-Kent and a member of Royal LePage Peifer Realty for almost 20 years. He and his wife Diane have called Chatham home since 1987. To them Chatham-Kent offers the best of all worlds-friendly medium size city with a great climate and close proximity to larger centres. Steve serves on the Age Friendly Committee for Chatham-Kent which was formed to investigate housing in our area more suitable to an aging population.. Steve is also a member of the Political Affairs Committee working with all levels of Government. Michael Gibbons has been a Sales representative with Royal LePage Peifer Realty in Chatham for seven years, building on a background in Construction Sales. He has been involved in the PAC and Education committees, as well as several volunteer projects with the Board. He has a wife and three boys, and enjoys spending time with them. He appreciates the opportunity to serve the members of this board. Kristi Willder has been a full time REALTOR® with RCI – Realty Connects Inc. Brokerage since 2011. Kristi started Real Estate after her father-in-law started his own brokerage and has found that helping others find the perfect home that suits their needs, is what she is really passionate about. She is also a busy mom of 4 children and an active supporter of various local charities, including Relay for Life and Ronald McDonald House. She is looking forward to serving the members of the Chatham-Kent Association of REALTORS®. Peter Allaer is a full time Real Estate Broker and a member of Riversite Realty Inc. II Brokerage since September of 2013. He and his wife Kim have both lived in the Wallaceburg area their whole lives. They have three children and 2 grandchildren. Peter is looking forward to making a positive contribution to the Chatham-Kent Association of Realtors. Carrie Patrick, born and raised in Chatham-Kent, married to Brian and two children has been involved in the Real Estate field since 2002 as Administration at Realty House Inc. in Chatham. With 12 years administration; this gave her the grass roots to pursue her Real Estate license. Combined with 30 years of customer service and having been on several not for profit committees, Carrie is eager to do her utmost in volunteering and contributing to the Chatham-Kent Association of Realtors; as a Director. 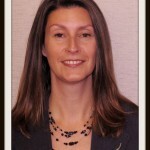 Laura Tourangeau, a full time broker with Re/Max Chatham-Kent Realty Inc., has been selling Real Estate since 2009. She especially enjoys working with families purchasing their first home, and as a part of her commitment to excellence has obtained her Accredited Buyer’s Representative (ABR®) designation. Real Estate is a business built on relationships, and Laura strives to create relationships with her clients built on trust and confidence. She is looking forward to bringing the same level of service to the members of the Chatham-Kent Association of REALTORS®. Amber Pinsonneault has been selling real estate full-time in Chatham-Kent since 2015. She is third generation Realtor ® with Royal LePage Peifer Realty with 8 years experience managing a successful income property company. This experience has led her to being passionate about all things housing from single family dwellings to multi-family property. Amber resides in Chatham with her Husband and two loveable doodles. Active volunteer in Chatham-Kent with the Chatham-Kent Housing and Homelessness Committee, Government Relations Chair of the Chatham-Kent Association of Realtors, board Director of Big Brothers Big Sisters and past President of the Chatham-Kent Landlord Association (2011-2017). She is excited to be elected onto the Chatham-Kent Association of Realtors as a Board Director! Brandy Robertson is a full-time Realtor and Broker of Record/partner of O’Brien Robertson Realty Inc., Brokerage. She has been an active Realtor for over 10 years after leaving a career as a paralegal/law clerk. Having been born and raised in Chatham-Kent she truly appreciates all that our community has to offer from its provincial parks, waterways and beaches to superb shopping and fine dining and looks forward to helping promote Chatham-Kent as the true gem that it is. She has been and continues to be in active involvement with many local charities and non-profits. Crystal is a full time Sales Representative with Nest Realty Inc. and has been selling Real Estate since 2016. She is also a Mortgage Associate (since 2007), with Mortgage Architects Inc. and is a member of Mortgage Professional’s Canada. Prior to her Real Estate career, Crystal held an Executive position with an International Photography Company specializing in portraiture. Having a passion for photography, she is now a Professional Real Estate Photographer and an Official Matterport Service Provider. Crystal was born and raised in Chatham-Kent and although lived in Alberta for many years she has returned with her three daughters and Grand daughter and is enjoying all the benefits of home.